So pretty! Love your simple layout and striking patterned papers! 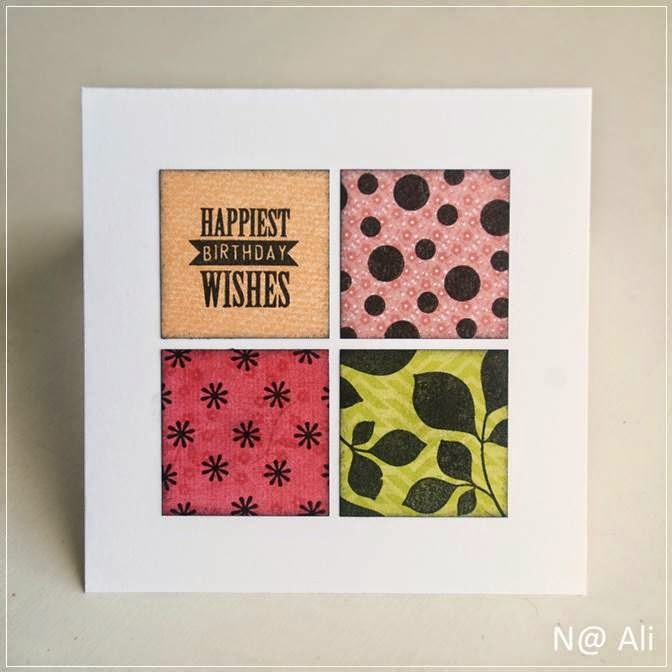 Love your take on the MIM and your patterned paper you stamped are wonderful! Great design! Such a great take on the challenge. Lovely patterned papers. The square design really highlights your stamped patterns! Thanks for playing along this week! Super CAS card, Ali. Love it's graphic simplicity! And love the variation of stamps. Love the simplicity of your design and the pretty patterns you created.